The Video Intro Maker that is the easiest and most affordable way to create awesome video intros and animations with your logo! Do your videos need that extra professional touch? Try using Video Templates! 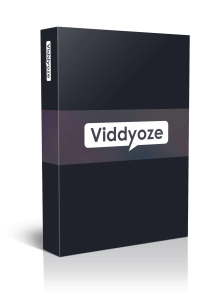 Viddyoze is one of the most revolutionary pieces of software for video creators, YouTubers, digital marketers and small and local businesses looking to use video more to promote their business. Something that used to require hiring an expensive video producer or 3D animator to create for you or something that is expensive to buy constantly from VideoHive and other stock video websites can now be done effortlessy in a few clicks using cloud based software. Viddyoze can best be described as a video intro maker as it allows you to create awesome animated intro videos with your logo however, you can also create lower thirds, transitions between your video clips, alpha effects with your social media contact details as overlays, fuse filters, animated logo stabs to promote your branding or outros that will make your video look professional and complete. Viddyoze 2.0 is one of the best pieces of video production software we have seen in years. Want to try it for yourself? Click here. Check Out Viddyoze 2.0 Here! Who is Viddyoze 2.0 Animation Tool aimed at? This tool is also aimed at business owners in the following niches and video producers and marketers that work with these industries. The above is just an example of some of the suitable market sectors that work well with the video templates available though there are many more, however, in an aim to avoid the list being too exhaustive I have limited it to the most common examples. 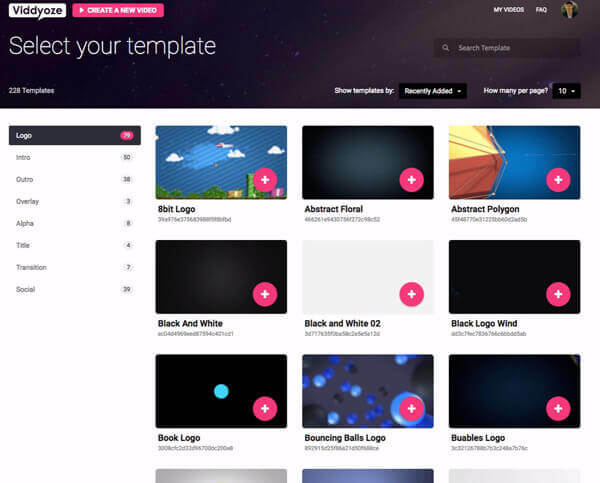 With Viddyoze 2.0 there are 6 main categories of video animation templates you can use or apply to your video content. These range from intro videos, logo stab animations, transition effects, social media overlays, lower thirds and even filter effects. High-Quality, studio professional animated intros and logo reveals for your video content. Before this would involve using software like After Effects and maybe still buying the templates on at a time from VideoHive to use or paying an expensive animation company. A great way to get more marketing oomph out of your videos is to use social media mentions and overlays. 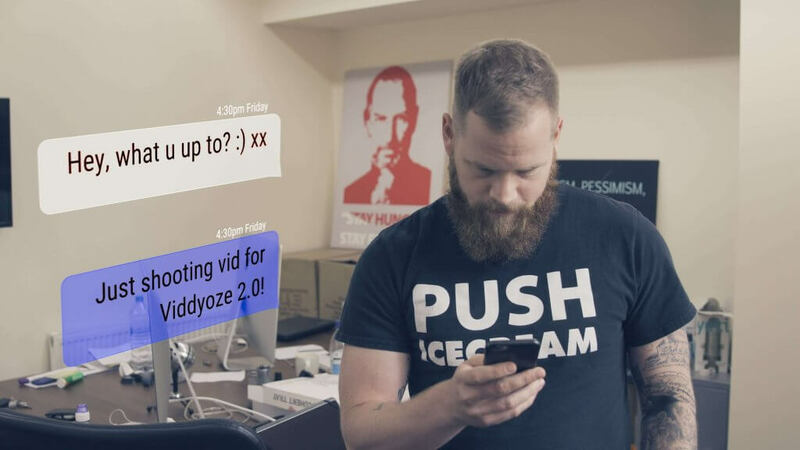 Viddyoze provides alpha effects and purely animated social media marketing actions and overlays which help to make your video more effective to your strategy. The video template bank features a collection of transitions you can use between your frames and scenes to create more modern and stylish effects and movement from one scene to the next. These final scene animations are essential for any online video, whether you are a YouTuber looking to up your game or producing social media videos and adverts for clients or your business ending with a solid final message that looks cool adds the icing on the cake. Lower thirds are one of the best ways to add informative information to give more context to your videos without distracting too much away from the subject in the video. You have seen these lower thirds on Television, YouTube, Films and more now you will also find lots of minimal and creative templates you can use in the included library and template club. Want to add lens flares, light effects, film grains and other movie style filters and color grading to your video content? Viddyoze can also do that to create a nice polish to your latest masterpiece. Something I don't use that much but occasionally it's nice to have. Creating your first animation is very straight forward the entire process literally takes a few minutes. So using this video intro maker you start by choosing a template and setting it up. Select a template that suits your needs depending on the template type or the niche you are working with. Then follow the next step here or the steps provided in the software. Depending on the template you have chosen different options will be available for you to change the text, add your logo graphic and adjust the color scheme. Once complete click finish. The next step will simply ask you to confirm your video before it begins the rendering process. Check everything is 100% and continue. You can always come back and make future edits but its annoying when you have to waste time rendering over and over when a simple quality control can save you from doing this. Pretty straightforward but for those with little to no video or graphics experience at the end you just need to render the video, this is the process of generating the final video file for you to download and use as is or load into your favourite video editings suite like Adobe Premiere or Final Cut Pro. Viddyoze 2.0 Licenses "What's the Difference?" A Maximum of 30 Video Renders each Month, ideal for trying the product out and if you have occasional needs. Unlimited Use Of Animations For Personal Videos, no limit on the number you can create and a lifetime license. Get 80+ Professional Viddyoze Animation Templates to start with. (note not all seen animations are included, some of these are exclusive to subscription members of the template club. 30 Day Money Back Guarantee. So you are safe to try it for an entire month before deciding if it was worth the money. Save 52% on your personal license today, price currently down from 97 a month to a one-time payment of $47. The commercial license of Viddyoze includes everything in the standard license with some extras and unlimited renders while allowing you to use the videos for clients projects and market them as a new service. Unlimited Use Of Animations For Client Videos also. Save 66% on your commercial license today and get a commercial license for $67 instead of $197 per month. Viddyoze 1.0 & 2.0 has an optional template club that instantly gives you their entire library of Viddyoze animations from the past and 20 new templates every month to work with covering the full range of different template types available. This is great value if you are making some money from selling your videos or you are creating a lot of videos yourself and want to have access to more templates. The Best Video Intro Maker Software of 2017? As in 2016 when it was first released Viddyoze 2.0 remains the best overall video animation and video intro maker tool available on the market, not just because of the massive cost savings but also because the functionality is unrivalled. There are no promo codes, coupon or voucher codes for this product or any trials because it's already heavily discounted. Visual effects created with this tool were only available before by hiring a skilled video animator or by learning expensive software like Adobe After Effects. Top rated customer service team. One of the most highly reviewed new pieces of software online with tens of thousands of monthly users. New templates are released every month for monthly members so the product and possibilities are endless. Very clean user graphical user interface (GUI) and as a result, it is very user-friendly app with no alternative. If you are in digital marketing, web design or video then you can make money online or with existing clients selling this as a new product and marketing solution. Also, you can check out the sister product from the same team over at Viddyoze Live Action. So now you know what we think, if you sign up today you will be able to download awesome video content to start using straight away. Expect a more in depth review, and step by step tutorials coming soon.